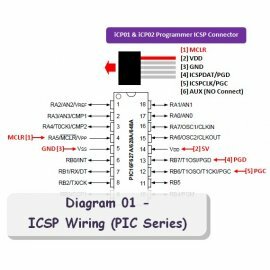 These diagrams show how to program the Microchip PIC10F, PIC12F, PIC16F, PIC18F﻿ series with ICSP (In-Circuit Serial Programming) method﻿﻿. 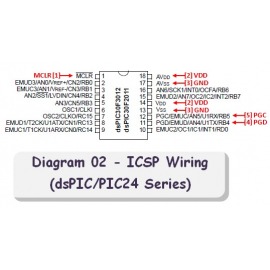 These diagrams show how to program the Microchip dsPIC30, dsPIC33 and PIC24 series﻿ with ICSP (In-Circuit Serial Programming) method﻿﻿. 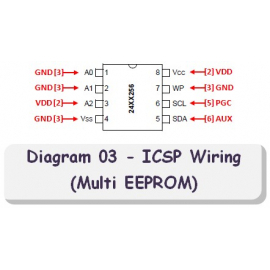 These diagrams show how to program the Microchip 11LCXX, 24LCXX, 25LCXX, 93LCXX and HCSXX series﻿ with ICSP (In-Circuit Serial Programming) method﻿﻿. 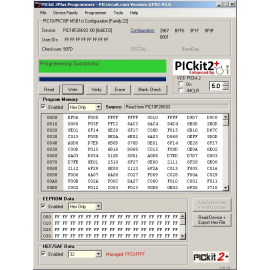 PICKit2 Plus is a total replacement software for the existing Microchip PICKit2™ software. PICKit2 Plus supports the latest Microchip PIC, dsPIC, PIC24, PIC32, MCP, EEPROM, KEELOQ family with a new programming protocol, improved Windows support, HEF/SAF memory feature and improved usability.